What does joining the GTC entitle you to? 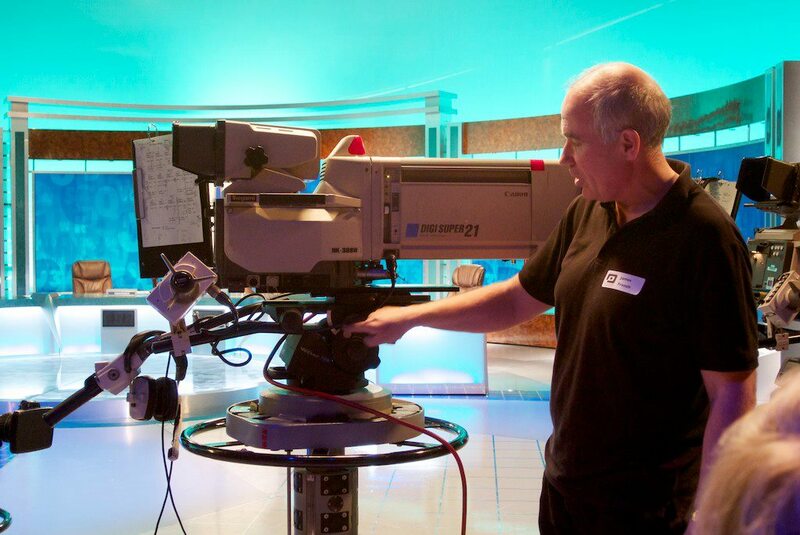 A varied programme of highly regarded workshops, with expert tutors, on a wide range of subjects such as lighting, studio ped work, drones, Steadicam, lenses, editing, shooting in hazardous environments, health & safety. These workshops are free to GTC members and represent extraordinary value. Two issues a year of Zerb magazine – well-respected throughout the industry. GTC members can also choose to read Zerb online if they prefer. 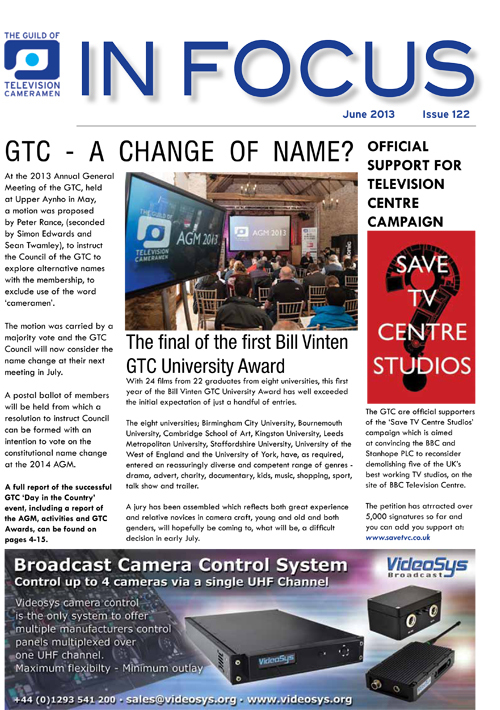 Four informative 'GTC In Focus’ magazines each year. 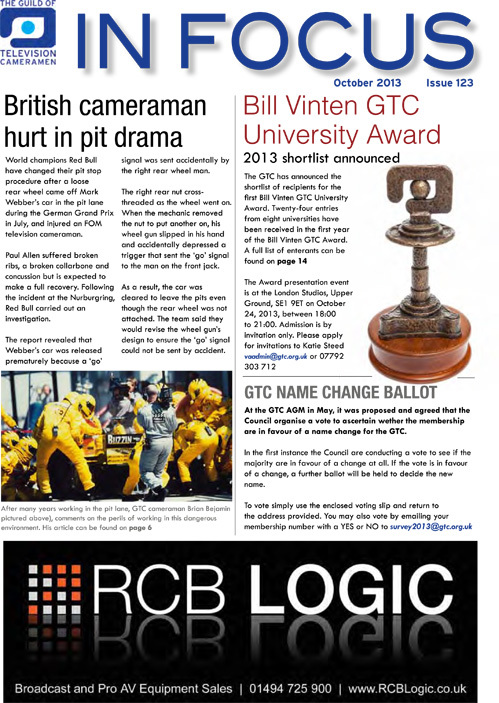 GTC members can also choose to read GTC In Focus online if they prefer. 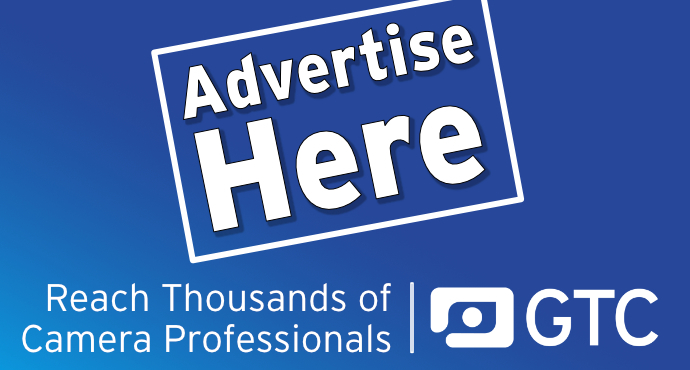 Website packed with industry news and announcements from GTC sponsor companies, member news and classified ads, plus technical resources and information available only to members. Display your credits and showreel to fellow colleagues and prospective employers. Active and informative online e-mail based forum for exchanging news, views and information with cameramen from around the world plus direct contact with manufacturers and suppliers. 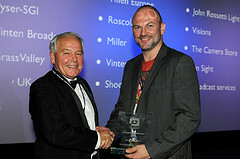 Annual programme of awards for excellence in camerawork and lifetime achievement. GTC ‘Seal of Approval’ applied to selected items of equipment as nominated by members. Discounted carnet service through Birmingham Chamber of Commerce. Discounts on products from various companies. Legal advice from the GTC's legal adviser.